FOR MODEL 11500A SIZES 19–25 MM ONLY. WARNING: DO NOT PERFORM STAND-ALONE BALLOON AORTIC VALVULOPLASTY PROCEDURES ON THIS VALVE FOR THE SIZES 19 – 25 mm. Although the valve will maintain a stable diameter at implant and during intracardiac conditions, the diameter of this valve will expand if radial force is applied, such as during a balloon aortic valvuloplasty. This may expand the valve causing aortic incompetence, coronary embolism or annular rupture. Fluoroscopic representations of the size markers and the expansion zone are shown below. WARNING: SIZE MARKER CORRESPONDS TO THE LABELED VALVE SIZE OF THE INSPIRIS VALVE AND IS NOT A REPLACEMENT FOR CURRENT SIZE IDENTIFICATION TECHNIQUES RECOMMENDED FOR USE IN TRANSCATHETER PROCEDURES. The expansion zone is activated by applied radial force. Click video below to view the band expansion. WARNING: Valve-in-Valve procedures in an INSPIRIS valve should be performed according to the combinations in the SAPIEN XT IFU. Other combinations have not been evaluated and may result in the embolization of transcatheter devices anchored within or result in annular rupture. Refer to device instructions for use for full prescribing and safety information. *These features have not been observed in clinical studies to establish the safety and effectiveness of the model 11500A for use in valve-in-valve procedures. Indications: For use in replacement of native or prosthetic aortic heart valves. Contraindications: There are no known contraindications with the use of the INSPIRIS RESILIA aortic valve. Complications and Side Effects: Thromboembolism, valve thrombosis , hemorrhage, hemolysis, regurgitation, endocarditis, structural valve deterioration, nonstructural dysfunction, stenosis, arrhythmia, transient ischemic attack/stroke, congestive heart failure, myocardial infarction, any of which could lead to reoperation, explantation, permanent disability, and death. Warnings: DO NOT ADJUST THE VALVE DIAMETER BY EXPANDING THE BAND PRIOR TO/OR DURING IMPLANTATION OF THE SURGICAL VALVE. 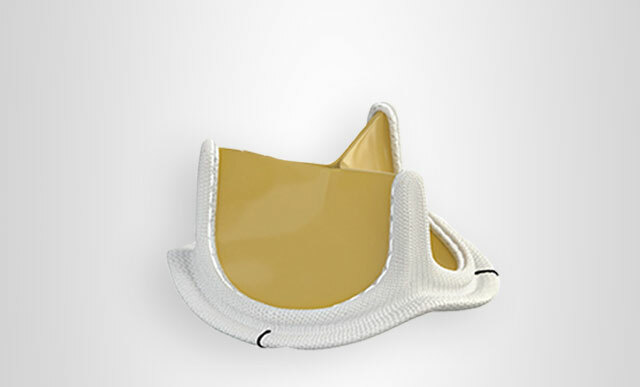 The expandable band is not designed to allow for compression or expansion during implantation of the surgical valve. This will cause damage to the valve and may result in aortic incompetence. DO NOT PERFORM STAND-ALONE BALLOON AORTIC VALVULOPLASTY PROCEDURES ON THIS VALVE FOR THE SIZES 19 – 25 mm as this may expand the valve causing aortic incompetence, coronary embolism or annular rupture. Valve-in-Valve procedures in an INSPIRIS valve should be performed according to the combinations in the SAPIEN XT IFU. Other combinations have not been evaluated and may result in the embolization of transcatheter devices anchored within or result in annular rupture. CAUTION: Federal (USA) law restricts this device to sale by or on the order of a physician. See instructions for use for full prescribing information.